So many vanilla extracts, so many prices. How do you know if they are pure? 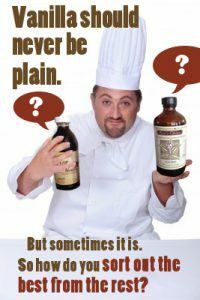 There are rules governing vanilla extract production and labeling. Unfortunately, not every company follows the rules. So choosing a great vanilla extract just by looking at the bottles makes this a little tricky. Here are some guidelines to help you in your quest for the best. 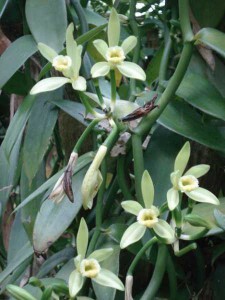 There are at least 150 varieties of vanilla plants growing around the world, but only two species are used commercially. The one we most often buy is called Bourbon or Madagascar vanilla extract. Pure Mexican vanilla extract is sometimes available in specialty food stores. Bourbon, Madagascar and Mexican are all from the same species of beans, just different names or grown in different regions. Tahitian extract comes from a different species of vanilla and has a distinctively different flavor. You’ll find articles about these different extracts in our vanilla directory. You can also buy all these varieties in our shop. How Is Vanilla Extract Made? Vanilla extract is made by percolating or macerating chopped vanilla beans with ethyl alcohol and water in large steel containers. The process is usually kept as cool as possible to keep flavor loss to a minimum, though some manufacturers believe that there must be heat for the best extraction. Most companies use a consistent blend of beans, sometimes from several regions, sometimes just from one place such as Mexico or Madagascar. The extraction process takes about 48 hours after which the extracts may remain with the beans for a day or two. The extract is then filtered and stored in a holding tank where the amber-colored liquid remains until being bottled. The Food and Drug Administration (FDA) has specific regulations in the United States regarding commercial extract manufacturing, but there are variables that create significant differences in extract flavor and quality. For instance, the FDA requires a minimum of 13.35 ounces of vanilla beans to a gallon of a minimum of 35% alcohol to 65% water mixture for a product to be labeled as pure vanilla extract. However, there are no regulations on the quality of the beans, so beans can be premium-quality or the driest cuts and splits containing very little natural vanillin. The extract may also contain sugar, corn syrup, caramel color or stabilizers. All additives should be on the label, but they often aren’t. Also, the FDA doesn’t require that the percentage of additives be listed. As vanilla is naturally slightly sweet, it isn’t necessary to add sweeteners. Some manufacturers use no sugar, some use 3 – 5% sugar as a stabilizer, and some companies use 20% or more sugar or corn syrup in their extracts. Extract made with sugar cane alcohol can smell harsh, so a small amount of sugar helps to soften the aroma. Be aware that caramel color contains sugar or corn syrup. Vanilla extract ages some during the time that it goes through the channels from factory to your shelf. It will continue to develop body and depth for about two years. Once the bottle is opened, the extract will keep well for at least six months as long as it’s stored in a cool dark place such as a pantry or cupboard that’s away from the stove or bright sun. Refrigeration is not recommended. Extracts made with high-quality vanilla beans and little-to-no sugar have a fresh, clean flavor. 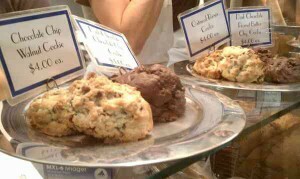 While they may be a little more expensive, the flavor is purer and it carries well to the finished product. And guess what? Your fabulous secret family recipe for cookies or cakes will taste far better when you use good extract! Here’s our very own step by step instructions on how to make vanilla extract. Enjoy! In the United States the FDA is very strict about label laws. If it says Vanilla Extract on the label, it was made with vanilla beans, alcohol and water. If it says Vanilla Flavor, it is still pure vanilla but made with glycerine or propylene glycol instead of alcohol. This is a reasonable substitute for people who want an alcohol-free flavor. Imitation vanilla must be labeled as Imitation. Imitation vanilla contains synthetic vanillin. The vanillin is made with chemicals as opposed to the vanillin which occurs naturally in pure vanilla. While natural vanillin makes up about 25% of the flavor and fragrance of pure vanilla, there are hundreds of other organic components that add to the flavor and fragrance. With imitation vanilla, there is only one flavor — vanillin. Vanilla extract or flavor purchased in Mexico, the Caribbean, West Indies and Central and South America is almost entirely imitation, despite what the label says. Although the Food and Drug Administration only allows vanilla to be called “extract” when it has an alcohol base, there is an alcohol-free substitute. Natural vanilla flavor is made with glycerine and propylene glycol, along with vanilla bean extractives. It has a viscous texture, is a little darker than natural vanilla extract, and smells differently, but it works well as a substitute for flavoring foods and beverages. We carry natural vanilla flavor by the gallon. You can use natural vanilla flavor in exactly the same way that you would use extracts. You may find you need a little more or less flavor compared with extract. Tasting what you’re making as you go is the best way to know. Single Fold, Double Fold, Triple Fold vanilla extracts, etc. The word “fold” indicates concentration in liquid vanilla extracts and synthetics. Single fold (written 1x) is the standard concentrate of pure vanilla extract. Double fold (2x) is twice as strong, and so forth. Concentrations can go up to 20-fold, but the extract isn’t real stable above four fold. In candy-making, where liquids can change the chemistry of the finished product, a multi-fold extract concentrate is useful. Single fold vanilla extract contains the vanilla extractives, water and alcohol proportions mentioned above. Double fold has twice the amount of vanilla bean extractives but the same amount of water and alcohol as single fold. Triple fold contains three times the amount of vanilla bean extractives, and so forth. For home baking double fold really isn’t necessary, but it makes sense to buy double fold vanilla to save on shipping costs and also to add less liquid to a product. For instance, if you’re making ice cream and you aren’t making a custard base, you could use double fold vanilla extract to cut the amount of liquid as well as to cut down on alcohol. Rain’s Choice Tahitian, Mexican and Madagascar vanillas as well as our organic vanilla extracts can be purchased as either single or double fold. So many choices. So many prices. Are they all the same? What is the best vanilla? Most supermarket vanilla extracts — both brand name and store brands — are pure vanilla but usually of mediocre quality. This is also true in the big-box stores such as Costco or Walmart. Because vanilla is an expensive product (it’s the world’s most labor-intensive crop), customers are put off by sticker-shock. So stores sell the cheapest extracts they can find. Specialty food stores carry the better vanilla extracts as do some online boutique stores. You will need to pay a little more for the best vanilla extracts but you really will notice a difference in the flavor. Read our post on “What is the best vanilla extract?” for more details on how you separate the wheat from the chaff, or in this case the best from the rest. 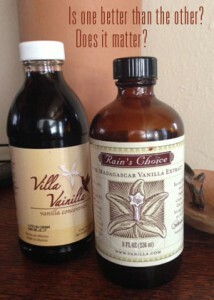 What about Rain’s Choice Vanilla Extracts? How do they measure up? Our mission is to provide the finest premium-quality vanilla products. 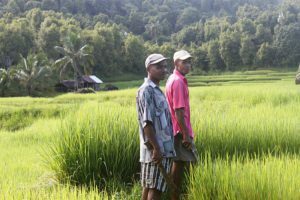 We only use vanilla beans with a high vanillin content in all of our vanilla extracts and use 20% more vanilla extractives than required by law. This gives our extracts a great depth in flavor. We use sugar cane alcohol, 3% sugar to soften the harsh nose of the alcohol, and distilled water. And all of our vanilla products are gluten-free. But what about the sugar? All foods break down into sugars in our bodies, a detail we often forget. While yes, there is sugar in our extracts, 3% of 1 teaspoon of pure vanilla extract is pretty minimal. If you don’t want sugar in your vanilla, consider using our vanilla beans, pure ground vanilla bean powder or our vanilla paste. These products contain no sugar. Hello, I had a question. I have certain dietary restrictions, and was wondering how the FDA labels nonalcoholic vanilla extract? Does nonalcoholic vanilla extract have a different label, can nonalcoholic vanilla extract also be labeled as “vanilla extract” ?? I do know you mentioned vanillin and natural vanilla flavor does not have any alcohol, do you know of any other labelings that do not have any alcohol in them in terms of vanilla extract or vanilla flavoring? The Standard of Identity for vanilla made without alcohol is Natural Vanilla Flavor. It is made with propylene glycol instead of alcohol. It cannot be labeled as vanilla extract. There are no other legal labels for Vanilla Flavor.